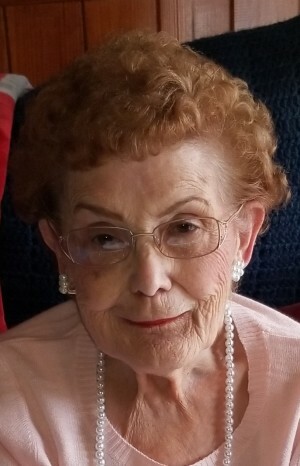 Lula Mae Burns, age 85, of Fayette, Alabama, passed away peacefully from natural causes Sunday, March 31, 2019 at the home of her daughter, Donna Sims and husband Richard Sims of Lanett, Alabama. Born February 21, 1934 in Fayette, Alabama, she was the daughter of the late Ellis Black and Cora Black. She was a long time employee of Fayette Manufacturing and Bettin Manufacturing in Fayette, Alabama. Lula was a member of Grace Baptist Church in Fayette, Alabama. She is preceded in death by her husband, Harold G. Burns; her son Douglas Burns of Fayette, Alabama; her grandson Logan Overton of Lanett, Alabama; four brothers all of Fayette, Alabama as follows,Grady Black and wife Edith, Roy Black and wife Palestine, Orville Black and wife Elizabeth, and Theron Black. Lula is survived by her daughter Donna Sims and husband Richard Sims of Lanett, Alabama; a sister, Arlene Humber of Fayette, Alabama; a brother,Robert Black of Fayette,Alabama; a brother-in-law and sister-in-law, Charles Burns and wife Mammie Lou Burns of Fayette, Alabama, and three grandchildren; Jessica Overby, Tracey Meigs and Heath Abney all of Lanett, Alabama. Lula has many nieces and nephews, all of these she loved dearly. The family will have visitation from 11-12 P.M. on Wednesday, April 3, 2019 at Nelson Funeral Home in Fayette, Alabama. The funeral service will follow at 12-Noon in the chapel with the Rev, Jerry Ray, of Fayette, Alabama officiating. Burial will follow at Shady Grove Cemetery in Fayette, Alabama.